Sunday was a bit of a waste really. 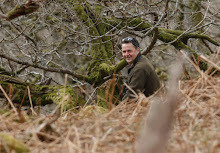 Graeme, Rob and myself arrived at Grantshouse, Borders at 8.00 am to look for the Black Stork that has made this its home for the last 10 days or so. By 5.00pm we still had not seen it but we knew the surrounding farmland intimately! Oh well you can't win 'em all. 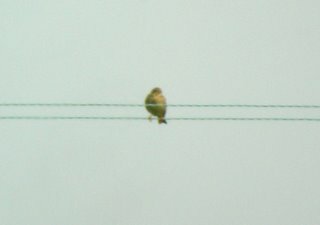 Highlights of the day were 1 Greenshank migrating E, 6+ Buzzard, 2+ Sparrowhawk and several Kestrels. At Boulmer this evening large numbers of tern feeding frenzies were offshore and a Little Tern patrolled the haven. The other night these frenzies of Sandwich, Common and Arctic Terns had 5+ Roseates in their midst and a few Manx Shearwaters. The moulting Goosander flock now numbers 22. This is Boulmer village and foreshore from the south. The beach area to the right of the picture is quite muddy and full of lugworms that attract good numbers of waders. 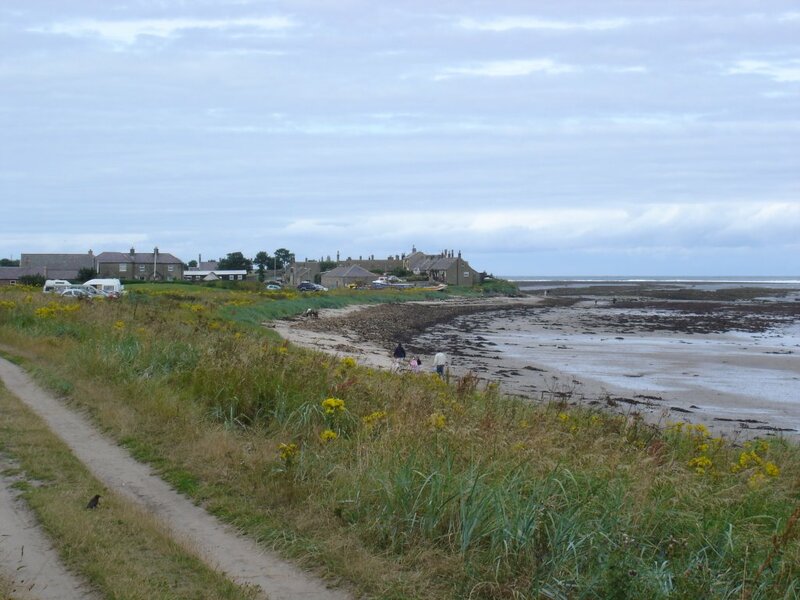 This is just as well really, as unlike most local patches, Boulmer has no permanent standing fresh water. The seawatching here can be quite good too. The village stands in the centre of a square headland on the north east coast and is very under watched. 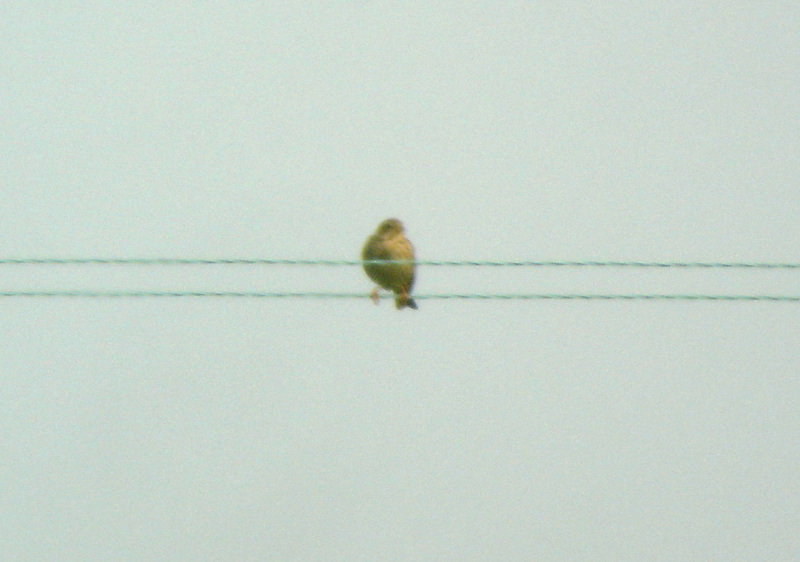 This Corn Bunting was a suprise on my patch last week. There hasn't been one here for a few years now. It seems to have moved on. I wonder where it came from , as they are about extinct up here in Northumberland. Now then, lets see if this is right?